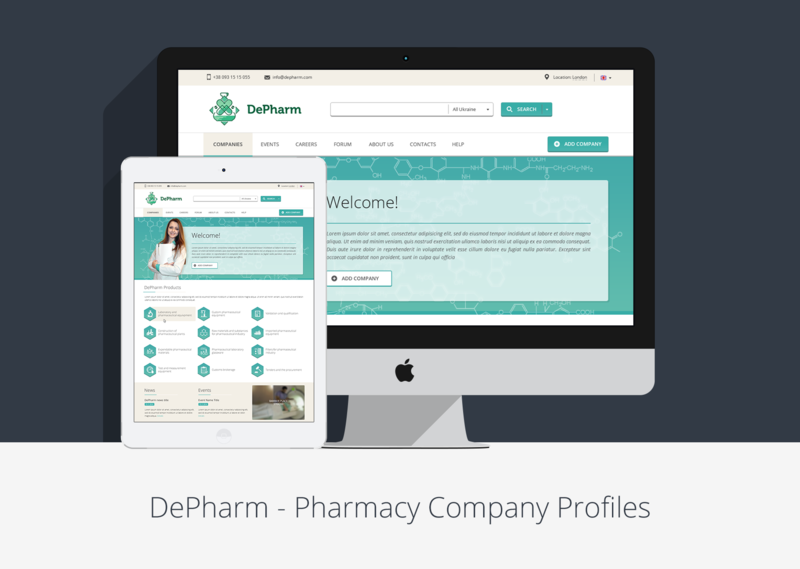 In this project for Depharm we were tasked with creation of pharmaceutical portal database design, which allows various pharmaceutical companies to register and leave the detailed description of their company. Such portal helps businesses as well as regular people to find the information they need in one place. 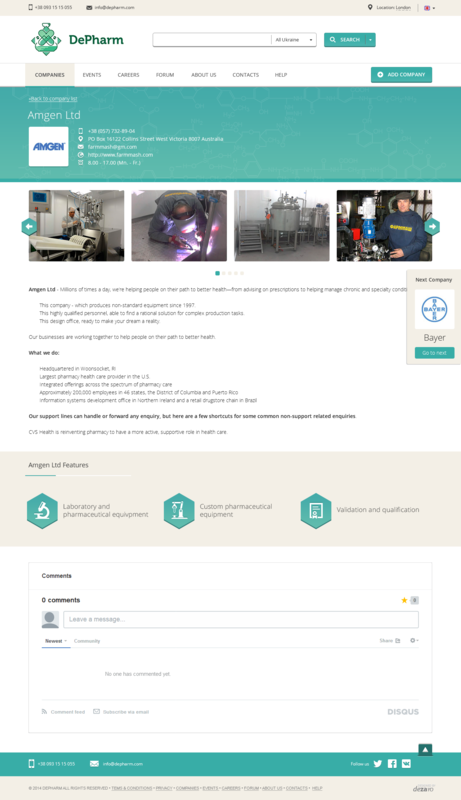 The primary users of the portal are pharmaceutical companies, that sell medical equipment for the production launch, therefore it was essential for the website to be user-friendly, but simultaneously concise and modern-looking. The first phase of our work on portal database design started with analysis. In order to outline the main trends and necessary features that needed to be integrated in the portal database design, we conducted detailed market research and competitive analysis. 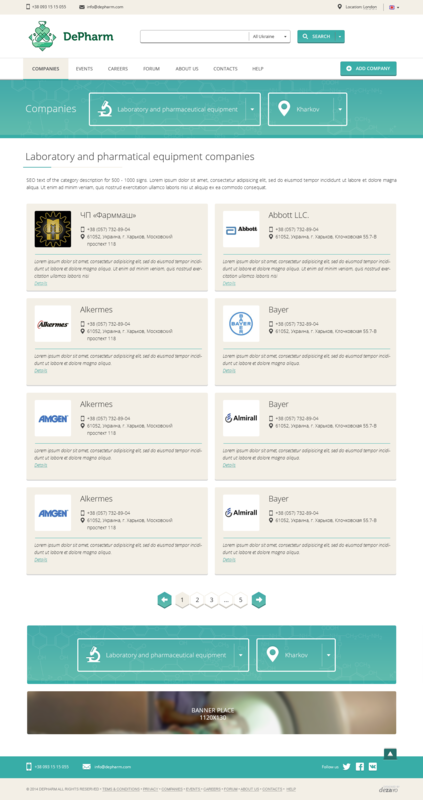 We have scanned the website of similar nature, noting the features that were most approved of and liked by end users. Thus, after this analysis was complete we moved on to creation of the prototype. Prototype is essential for the the design creation as it allows the client and designers to agree on the main direction and strategy of the portal database design. After the client looked through the prototype and approved it – we used it as a basis for the website’s design development. 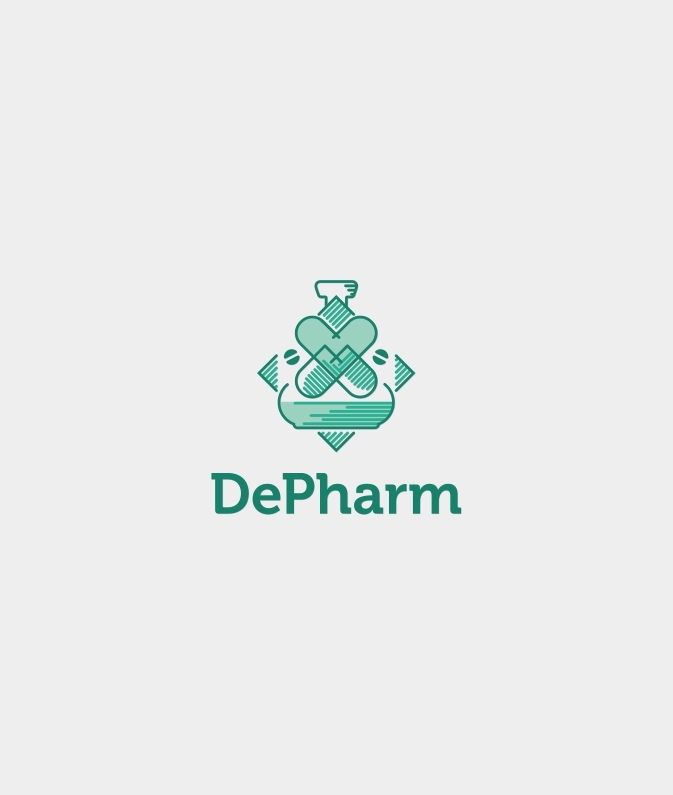 Alongside with a multitude of remedial tasks that were accomplished on this project, we also accomplished logo and icon design for this project. 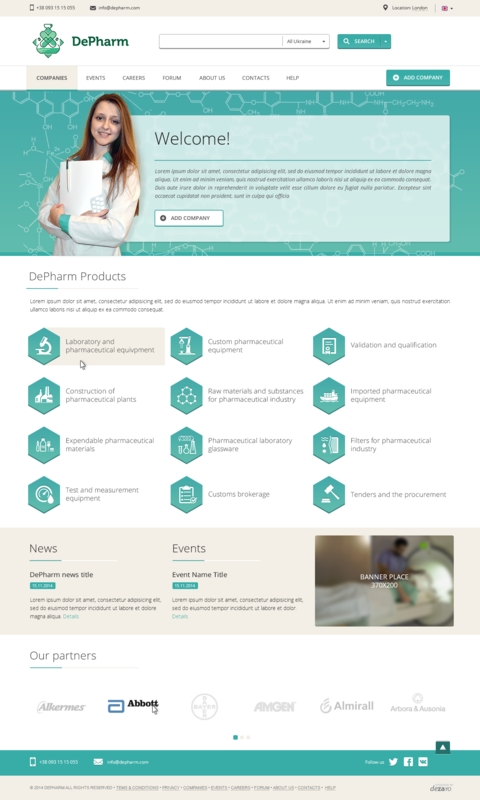 As a result, we created an intuitive and user-friendly website design, which generates positive UX and provides UI. It fully corresponded to the requirements of the client, who was very happy with the finished product. Since the launch of the new portal database design the conversion rate of the client’s website has increased, as did the overall visitors’ turnout. 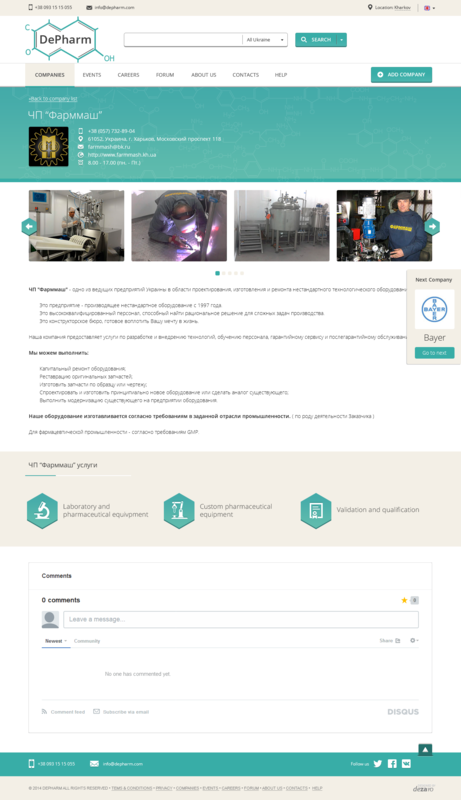 More users stayed on pages and registered than before, which was one of the goals of the new design.